One of the best things in the world is sipping on a delicious cup of coffee on a chilly morning…or in the afternoon…or after dinner. What can I say? I love coffee any time of day. But when I really want a treat, I make my plain coffee into what I like to call dessert in a cup…a caramel latte. They are very easy to make, and can be done in big batches to serve your guests at parties, brunch, or even moms’ night out. 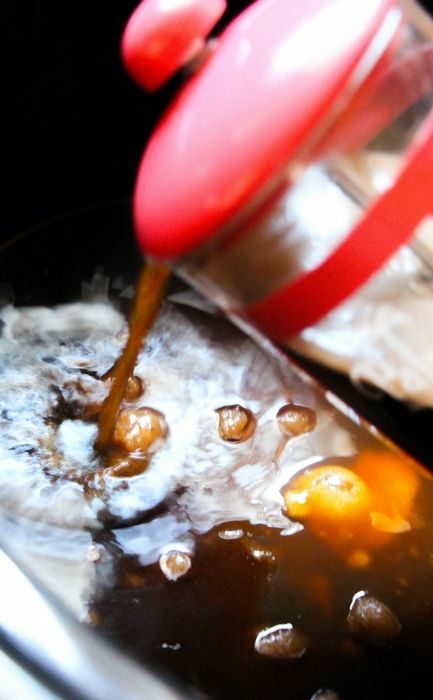 This recipe for homemade caramel lattes in the crockpot couldn’t be easier! And because they are done in the crockpot, you can keep the mixture warm so that you and your guests can refill their mugs throughout the party with no trouble. How can I make a caramel latte at home? 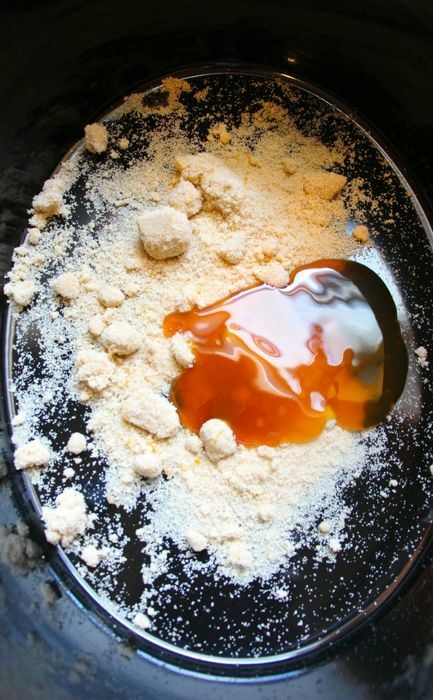 To begin, place the brown sugar and caramel sauce into the bottom of your slow cooker. Pour the brewed coffee into the sugar mixture. Then add the milk. You can also add the espresso powder at this point, if you choose to use it. Turn the crockpot on low for 2 hours, or high for 45 minutes, to warm the caramel latte mixture. Add the vanilla to the pot just before serving, so that it doesn’t evaporate before you’re ready to drink. Add some whipped cream to the top, along with a swirl of caramel sauce, and your homemade caramel latte is done! This homemade caramel latte recipe done in the crockpot makes a huge batch of yummy coffee drinks that you can keep warm for your party or brunch. Topped with whipped cream and a swirl of caramel sauce on top, it makes a delicious treat! Garnish with whipped cream, extra caramel syrup and maraschino cherries, as desired. This caramel latte recipe can be cut in half, if you need a smaller amount of latte mix, or you can refrigerate any leftovers to enjoy later…simply pour into a microwave-safe mug or a small saucepan to reheat in the microwave or on the stove top. 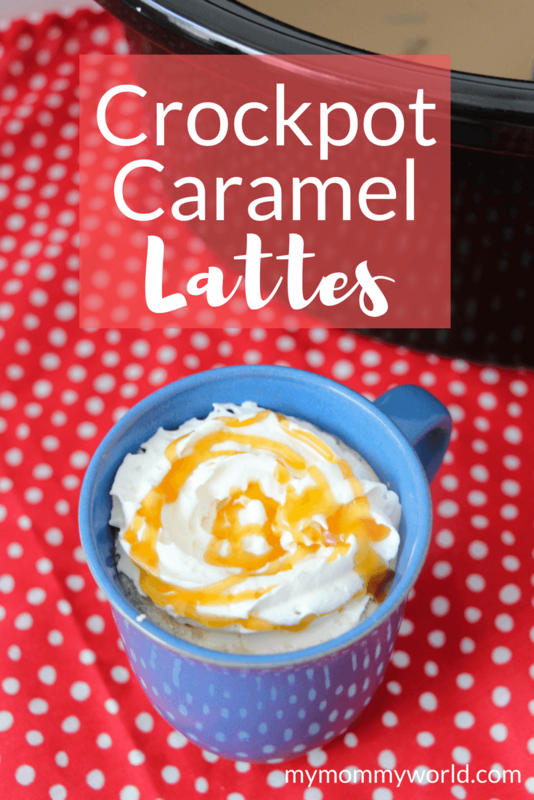 Enjoy your crockpot caramel latte treat! I hope you and your family have a Happy Resurrection Day, Erin! This looks soooo delish! I love the idea of making it in the Crock Pot! Thanks for sharing on Foodie Friday! Looks like an easy and yummy beverage. Thanks for sharing it. I’m pinning it.